When the tax costs of operating in New York are only a fifth of the cost of locating the same operation in Wyoming, something unusual is going on. Yet that’s exactly what we find for new research and development (R&D) facilities in Location Matters, a study which calculates the tax bills of seven model firms across all fifty states. State economic development offices tend to prize R&D facilities and heavily incentivize them through the tax code. 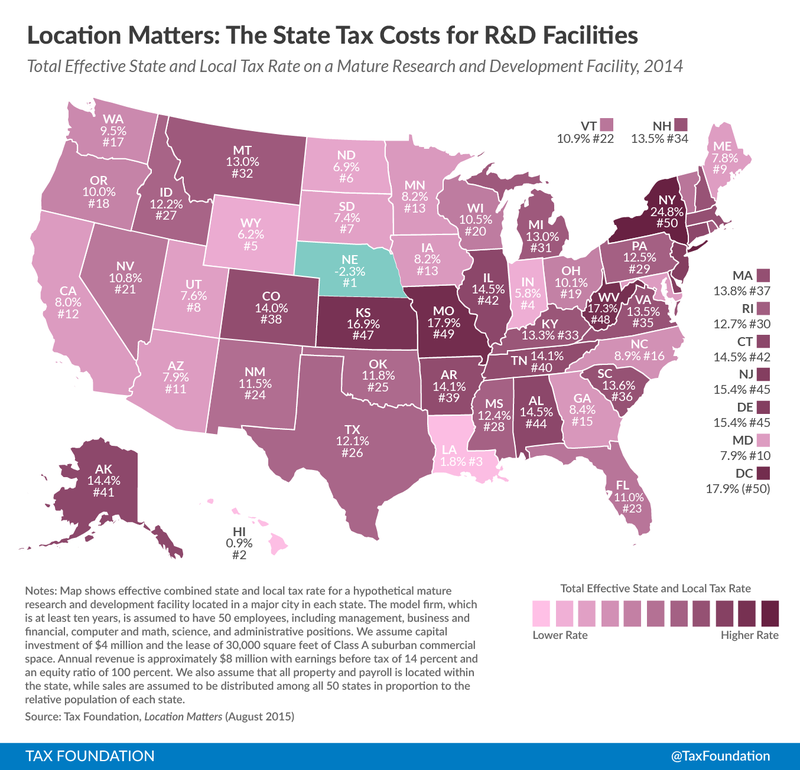 As such, while some states (like North Dakota, South Dakota, and Wyoming) offer a highly competitive tax environment for mature R&D facilities even in the absence of R&D tax credits, most low tax cost states for these firms provide substantial R&D incentives which limit, or even eliminate, income tax liability. This is particularly true for new R&D operations, but can apply to mature operations as well. New R&D facilities experience a negative overall tax liability in five states (Louisiana, Nebraska, New Jersey, Hawaii, and New Mexico). In Nebraska, available credits are so generous that they even exceed the mature firm’s total tax liability. In all, 37 of the 47 states with corporate income taxes offer research and development incentives, many of which are quite generous. With income tax burdens likely to be low, property taxes typically represent the largest share of an R&D firm’s total tax liability by a substantial margin. We assume that an R&D facility’s income is mostly outside the firm’s home state, so these firms’ income tax burdens are greatly reduced in states which tax income where the benefits are received. Maine, Maryland, and Wisconsin stand out as particularly attractive in this regard. 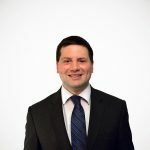 Conversely, states that impose above-average tax costs on R&D firms tend to offer few incentives, source income to where the income-producing activity is performed (thus exposing all of the firm’s income to in-state taxation), and impose heavy unemployment insurance, sales, or property tax burdens.